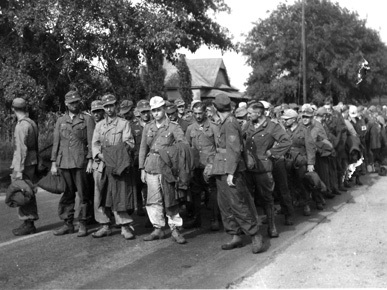 German prisoners formed in lines to march to Camp Aliceville in Pickens County, ca. 1943. Enemy soldiers in Alabama prisoner of war camps experienced generally comfortable and humane conditions, in line with the 1929 Geneva Conventions.